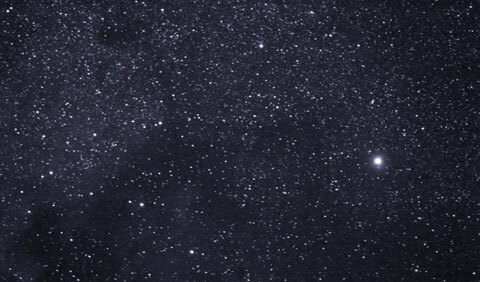 Vega– The brightest of the three stars, Vega is a slightly blue-white star in the constellation Lyra (the Lyre) and is found directly overhead during the months of July, August and September. It is also the fifth-brightest star in the night sky. The name Vega means “swooping eagle” in Arabic. If you’re interested in learning more about Canada’s night sky but are looking for a tour guide to the stars, take part in one of the Canada’s Parks Day events taking place across the country. In honour of the International Year of Astronomy 2009, all Parks Day events will focus on astronomy. If you’re interested in learning more about the effects of light pollution, read the story Night Watch from the March issue of Wildlife Update.